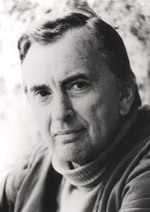 GORE VIDAL is the author of twenty-five novels, five plays, many screenplays, hundreds of essays, a memoir, and a historical work. He was born in 1925 at the United States Military Academy at West Point, and brought up in Washington, D.C. He enlisted in the army at the age of seventeen and served as first mate on an army ship in the Bering Sea, where he wrote his first book, Williwaw. In the sixties, three praised novels established Vidal's reputation as a bestselling author: Julian (1964); Washington, D.C. (1967); and Myra Breckinridge (1968). His collected essays, United States, won the National Book Award in 1993. In 1995 he published a memoir, Palimpsest, which the Sunday Times called "one of the best first-person accounts of this century we are likely to get". Recently, volumes of his essays on current affairs have become bestsellers around the world.